Kool-aid and the dishwasher. No way! Those nasty spots on my dishes and the pond scum left in the bottom of my glasses…they are about to be history. I just read about this!! I’m going to use this in my dishwasher with each load. 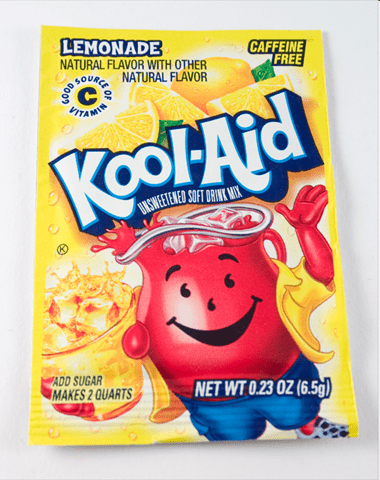 I can use generic, unsweetened, old school kool-aid. The key ingredient is citric acid. That’s supposed to eat away hard water stains. I’ve tried jet dry, vinegar, snake oil, fairy dust, twitching my nose right, etc. Previous Post: « Snow means potato soup.